Long Natural Health: Achieve good health simply and naturally. Our mission is to provide valuable health information and the very best natural health supplements to everyone interested in achieving and maintaining good health. There is something here for everyone. Enjoy a closer look at what we have to offer! 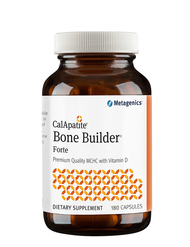 Bone Builder® Forte provides excellent bone health support with microcrystalline hydroxyapatite concentrate (MCHC), a highly absorbable crystalline compound that provides everything found in healthy bones and is backed by more than 30 years of research. Premier Products are the best! "I love this product. I have been using it for over 20 years and it has helped me a lot. Thank you so much." Thanks to Del-Immune V and the information you gave me, my mother is so much better!" "Thank you guys for the great customer service and fast shipping! You and your products are the best!!!" Timothy Long is the founder of Long Natural Health. Get to know him and how he can help you with any of your health questions!